Creatures of the night have never looked as good as when your pre-teen wears the Bat Reputation Tween Costume! This sassy purple bat costume allows your tween girl to look like a stylish version of the iconic nocturnal creature. The Dark Pirate Tween Costume allows the cosplayer to heed the call of the sea along with their fashion savvy. Join fellow swashbucklers this Halloween with in a chic costume that befits a fearless adventurer of the Seven Seas. An air of mystery follows the hunter as she silently glides through the forest. The unnatural gloom, which wards off others, serves as her cover. The Dark Woods Huntress Tween Costume is a stylish option when lurking in the shadows. When it comes to sheer elegance and style, the Greek goddesses had it all figured out. Now you can embody that radiant and divine style yourself by adding this Glitzy Greek Goddess Teen Costume to your wardrobe. 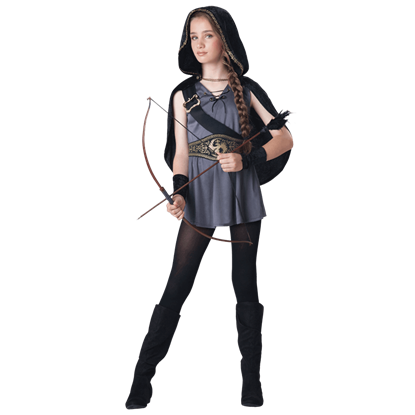 The Hooded Huntress Tween Costume is a mix of fantasy and history, combining elements to create the perfect look for a bold girl who does not mind taking matters into her own hands, wants to show off both skill and beauty. 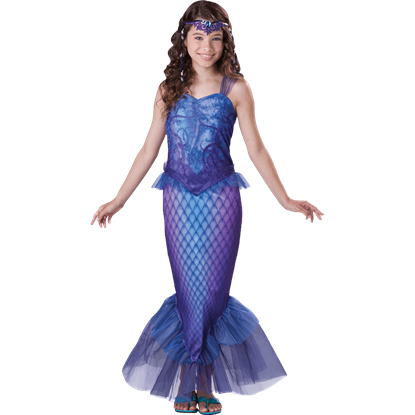 Your pre-teen will be a vision of aquatic beauty when she dresses up in the Mysterious Mermaid Tween Costume! This lovely mermaid princess costume features a blue-violet mermaid print and comes with a matching headpiece. Pirates have never been limited to boys, and just as some boys never grow out of their love for pirates, some girls never do, either. That makes the Pirate Babe Teen Costume great for the lass who still holds pirates near and dear. This Little Red Riding Hood has no need to fear any inhabitant of the dark forest with her sassy look. 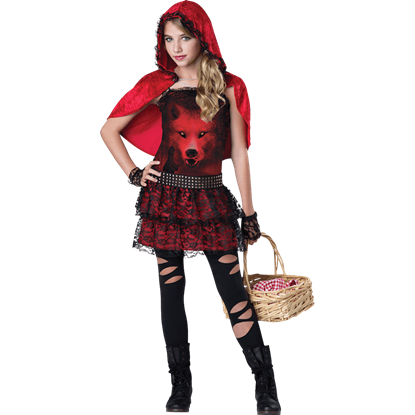 The Red In The Hood Tween Costume provides a modern twist on the traditional fairy tale for your pre-teen to enjoy this Halloween. Whether you are looking for a chic mini dress for a costume party, or wish to invade the scene on Hallows Eve, check out this stylish option. Add a modern touch to the role of immortal vampire with the Street Vamp Tween Costume. The Swashbucklin' Sass Tween Costume is a great costume for a preteen girl who is not only looking for a costume with the right amount of sass and character, but also a stylish costume that fulfills the desire for a pirate-themed look. Snow White and the Huntsman told a new fairy tale, one that depicted the fairest maiden as more than just a princess. 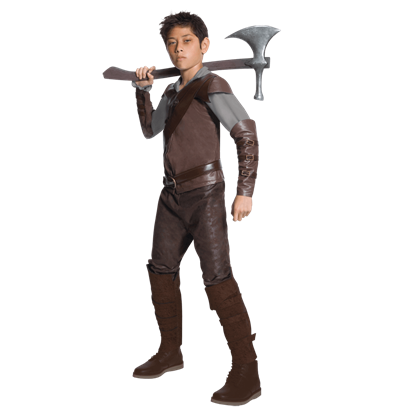 Along with her was the Huntsman, a steadfast warrior your son can emulate in this Teen Huntsman Costume.